Nitradine Shine has been especially formulated to clean, whiten, refresh and polish your denture or removable appliance. It is designed to be used on a daily basis as part of your daily cleansing routine. Nitradine Shine not only cleans your appliance but also safely disinfects it. It will not corrode, discolour or distort your appliance in any way and is recommended for use with all types of removable dentures. 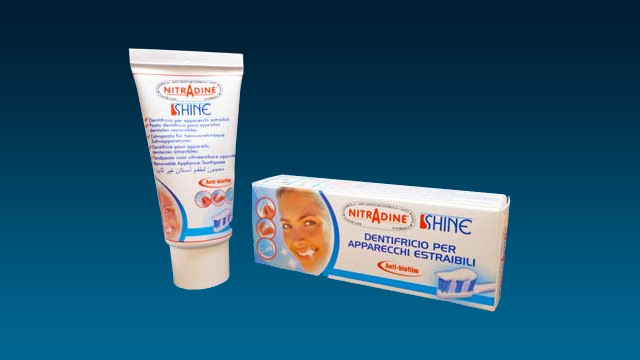 Click here to purchase Nitradine Toothpaste from our denture products shop.